Thai Accounting Law was issued in the year 2000. Shown below is our English translation of the Thai Accounting Law from the website of the Department of Business Development, Thailand. When you hire a Thai accountant, make sure she knows the Thai Accounting Law and she will make sure your business complies with it too. This Act contains certain provisions in relation to the restriction of right and liberty of people which Section 29, Section 35, Section 48 and Section 50 of the Constitution of the Kingdom of Thailand so permit by virtue of the provisions of law. Section 2. This Act shall come into force immediately after a period of ninety days from the date of its publication in the Government Gazette. Section 3. The Announcement No. 285 of the National Executive Council dated 24th November B.E.2515 (1972) shall be repealed. Section 4. In this Act: “Financial Statement” means report of results of the operation, financial status or changes in financial status of the business, whether reported by balance sheet, profit and loss statement, retained earnings statement, cash flow statement, statement of changes in shareholders’ equity, supplementary statement, or notes to financial statement, or other explanatory notes as an integral part of financial statement. “Accounting Standard” means accounting principles and generally accepted accounting practices, or accounting standards prescribed under the laws governing such matters. “Person Having the Duty to Keep Accounts” means the person who shall provide the bookkeeping under this Act. “Bookkeeper” means the person responsible for the bookkeeping of the person having the duty to keep accounts, whether it is undertaken in the capacity of an employee of the person having the duty to keep accounts. “Chief Accounts Inspector” means the Director-General, and includes the person entrusted by him. “Accounts Inspector” means the person appointed by the Director-General as an Accounts Inspector attached to the Local Accounts Office. Section 6. The Department of Commercial Registration, Ministry of Commerce, shall be a Central Accounts Office. The Director-General shall have the power to establish Local Accounts Offices which are to be under the control of the Central Accounts Office, and have one Accounts Inspector as the Chief of Local Accounts Office. The establishment of a Local Accounts Office shall be notified in the Government Gazette. (1) Category of accounts to be kept. (2) Statements and particulars entered in the accounts. (3) Duration for which the particulars must be entered in the accounts. (4) Relevant documents used in the entry of accounts. (5) Exceptions prescribed for the person having the duty to keep accounts or the bookkeeper not to comply with accounting standards in any one matter or any one part. (6) Qualifications and conditions for being the bookkeeper under this Act. The notification of such prescriptions under paragraph one, the Director-General shall take into account the accounting standards as well as the comments of relevant agencies and accounting profession institutions. The prescriptions under (5) and (6) must also be gotten an approval from the Minister. The prescriptions under (1), (2), (3) and (4), if such matters have been prescribed otherwise by specific laws, upon the person having the duty to keep accounts has conformed with such specific laws, it shall be deemed that the keeping of accounts is correct under this Act. Section 8. A registered partnership, limited company, public limited company established under a Thai law, juristic person established under a foreign law engaging in a business in Thailand, joint venture under the Revenue Code, shall be the person having the duty to keep accounts, and must provide the bookkeeping for its business operations in accordance with the details, rules and procedures prescribed under this Act. Where the person having the duty to keep accounts engages in a business regularly in many separate places, the person responsible for the business management of such places shall have the duty to keep accounts. Where the person having the duty to keep accounts is a joint venture under the Revenue Code, the person responsible for the operations of such business shall have the duty to keep accounts. The Minister with the approval of the Cabinet shall have the power to notify in the Government Gazette in order to prescribe that any natural person or unregistered partnership engaging in any kinds of business in Thailand under any conditions shall have the duty to keep accounts under this Act. Such notification of the Minister under paragraph four shall be notified in the Government Gazette in advance not less than six months before the enforcement date. Where there is the notification of the Minister under paragraph four, the Director-General shall prescribe rules and procedures concerning the commencement date of bookkeeping, and shall prescribe the procedures of keeping accounts of such natural person or unregistered partnership. (1) A registered partnership, limited company or public limited company, shall commence the bookkeeping from the registration date to be a juristic person under the law of such registered partnership, limited company or the public limited company. (2) A juristic person established under a foreign law engaging in a business in Thailand, shall commence the bookkeeping from the date such juristic person established under the foreign law starts its business operations in Thailand. (3) A joint venture under the Revenue Code, shall commence the bookkeeping from the date such joint venture starts its business operations. (4) A place operating business regularly under Section 8 paragraph two, shall commence the bookkeeping from the date such place operating business regularly starts its business operation. (1) When a change of the accounting period is approved by the Chief Accounts Inspector or the Accounts Inspector, the accounts may be closed before the completion of the required twelve months. (2) Where having the duty to keep accounts under Section 8 paragraph two, the accounts shall be closed at the same period with the head office. Section 11. The person having the duty to keep accounts who is a registered partnership established under a Thai law, a juristic person established under a foreign law, and a joint venture under the Revenue Code, must prepare and submit financial statement to the Central Accounts Office or Local Accounts Office within five months from the day the accounts are closed under Section 10. For the case of a limited company or a public limited company established under a Thai law, the financial statement shall be submitted within one month from the day the general meeting approves such financial statement. In this respect, except there is a necessity that the person having the duty to keep accounts cannot perform within the specified period, the Director-General may consider the order to extend or postpone the defined time according to the necessity in each case. The submission of financial statement shall be in accordance with the rules and procedures prescribed by the Director-General. The financial statement must contain brief particulars as prescribed and notified by the Director-General with the approval of the Minister, except there is a specific law prescribing in addition to the brief particulars in the financial statement prescribed by the Director-General, brief particulars prescribed in such specific law shall be used. The financial statement must be audited and expressed an opinion by an authorized auditor, except the financial statement of the person having the duty to keep accounts which is a registered partnership established under a Thai law having any one or every item of capital, assets, or income less than the value prescribed by the Ministerial Regulations. Section 12. In the keeping of accounts, the person having the duty to keep accounts must deliver the relevant documents used in the entry of accounts to the bookkeeper precisely and completely, so that the accounts prepared show results of the operation, financial status or changes in financial status in accordance with the facts and accounting standards. Section 13. The person having the duty to keep accounts must keep the accounts and the documents relevant thereto at the place of business, or the regular place of production or storage of goods, or the regular place of work, except the person having the duty to keep accounts shall get a permission from the Chief Accounts Inspector or the Accounts Inspector to keep the accounts and the documents relevant thereto elsewhere. The application for permission and the granting thereof under paragraph one shall be in accordance with the rules and procedures prescribed by the Director-General. And during the pending period of the granting, the person having the duty to keep accounts shall temporarily keep the accounts and the documents relevant thereto at the place being applied. Where the keeping of accounts is operated by computer or any other equipment at any other places within the kingdom than the places prescribed under paragraph one, but there is a link from computer network or such equipment to the places under paragraph one, in this case it shall be deemed that the accounts are being kept at the places under paragraph one. Section 14. The person having the duty to keep accounts must keep the accounts and the documents relevant thereto for a period of not less than five years from the date the accounts are closed, or until the delivery of the accounts and the documents under Section 17. For the purpose of auditing accounts of any one category of business, the Director-General with the approval of the Minister, shall have the power to prescribe that the person having the duty to keep accounts keeps the accounts and the documents relevant thereto for more than five years but not exceeding seven years. Section 15. Where the accounts or the documents relevant thereto are lost or damaged, the person having the duty to keep accounts shall notify the Chief Accounts Inspector or the Accounts Inspector of the loss or damage, in accordance with the rules and procedures prescribed by the Director-General, within fifteen days from the date of knowledge thereof, or the date such loss or damage ought to have been known. Section 16. Where the Chief Accounts Inspector or the Accounts Inspector inspects that the accounts and the documents relevant thereto, which is material to the keeping of accounts are lost or damaged, or it appears that such accounts and documents are not being kept in a safe place, it shall be presumed that the person having the duty to keep accounts has an intention to damage, destroy, hide or render lost or useless such accounts or documents, except the person having the duty to keep accounts shall convincingly prove that a great care has been properly exercised according to the circumstances to prevent the accounts or the documents relevant thereto from being lost or damaged. Section 17. Where the person having the duty to keep accounts ceases to engage in the business by a reason without a liquidation, he shall deliver the accounts and the documents relevant thereto to the Chief Accounts Inspector or the Accounts Inspector within ninety days from the date of cessation thereof. And the Chief Accounts Inspector or the Accounts Inspector shall keep the said accounts and documents for not less than five years. Upon the request of the person having the duty to keep accounts, the Chief Accounts Inspector or the Accounts Inspector shall have the power to extend the delivering period of accounts and documents under paragraph one, however, the extension period in total must not exceed one hundred and eighty days from the date of cessation thereof. Where the person having the duty to keep accounts has delivered the accounts as well as the documents relevant thereto incompletely and incorrectly, the Chief Accounts Inspector or the Accounts Inspector shall have the power to demand the person having the duty to keep accounts to deliver the accounts as well as the documents relevant thereto completely and correctly within a prescribed period. Section 18. The financial statement, accounts, and documents received and kept by the Chief Accounts Inspector or the Accounts Inspector under Section 11 or Section 17, the stakeholder or the general public may inspect or may ask for a photocopy thereof by paying a fee as prescribed by the Director-General. Section 19. The person having the duty to keep accounts must provide the bookkeeper possessing the qualifications prescribed by the Director-General under Section 7(6) to keep accounts under this Act, and shall have the power to control and supervise the bookkeeper to keep accounts accurately and correctly under this Act. The person having the duty to keep accounts who is a natural person may be a bookkeeper for his own business. Section 20. The bookkeeper must keep accounts in order to show results of the operation, financial status or changes in financial status of the person having the duty to keep accounts in accordance with the facts and accounting standards, including having correct and complete relevant documents used in the entry of accounts. (1) In the Thai language, or in a foreign language accompanied by the Thai language, or in accounting code provided the translation thereof in the Thai language. (2) Written in ink, type-written, printed, or by any other methods provided the similar results. Section 22. The Chief Accounts Inspector and the Accounts Inspector shall have the power to examine accounts and documents relevant thereto in compliance with this Act. In this respect, they shall have the power to enter the place of business or the place where the accounts and the documents relevant thereto are being kept of the person having the duty to keep accounts or the bookkeeper, or the place where the information of the said person is collected or processed, during office hours of such place. Where it is reasonable to believe that there is a violation or a failure to comply with the legal provisions under this Act, the Chief Accounts Inspector or the Accounts Inspector shall have the power to enter the place under paragraph one to hold or attach accounts and documents relevant thereto between sunrise and sunset, or during office hours of such place. 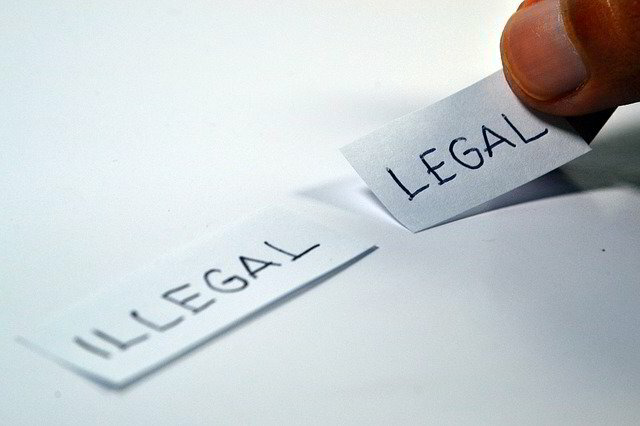 This is the case when it is reasonable to believe that, if it would be delay in obtaining a search warrant, the accounts, the documents relevant thereto, or other documents or evidence related to the said offences, should be removed, concealed, destroyed or altered from their original condition. Section 23. In the performance under this Act, the Chief Accounts Inspector and the Accounts Inspector must show his identity card to the person concerned. The identity card shall be in the form prescribed by the Director-General as notified in the Government Gazette. (2) to require the person having the duty to keep accounts or the bookkeeper to send the accounts, the documents relevant thereto, or the accounting codes for examination. The written order under paragraph one shall be sent by responding registered post or shall be delivered to the domicile or the residence or the place of business of the person having the duty to keep accounts, the bookkeeper or the person concerned. If no recipients are found at the domicile or the residence or the place of business of such person, it shall be sent to any sui juri person residing or working in the house or place of business apparently belonging to such recipient. Where it cannot be sent by the methods under paragraph two, or the person having the duty to keep accounts, the bookkeeper, or the person concerned leave the kingdom, the said written order shall be clearly visibly posted at the address or the place of business of such person or the house where such person’s name is in the house registration under the law governing the citizen registration, or brief statement may be advertised in a local newspaper. Upon the compliance with the said foregoing procedures, it shall be deemed that such written order has been received. Section 25. No person shall reveal any statement known or received through the carrying out of duty under Section 22 or Section 24, except where he has the power to do so under the law. Section 26. In the performance of the duty, the Chief Accounts Inspector and the Accounts Inspector shall be competent officials under the Penal Code. Section 27. Any person who contravenes or does not comply with the Notification of the Director-General issued under Section 7 (1), (2), (3), (4) or (6) shall be liable to a fine not exceeding ten thousand Baht. Where the contravention or non-compliance with the notification of the Director-General issued under Section 7 (1), (2), (3) or (4), a further fine shall be not exceeding five hundred Baht each day until he so complies. Section 28. Any person having the duty to keep accounts, who does not provide the bookkeeping under Section 8 or Section 9, shall be liable to a fine not exceeding thirty thousand Baht, and a further fine of not exceeding one thousand Baht each day until he so complies. Section 29. Any person having the duty to keep accounts, who does not comply with Section 10, Section 12 or Section 19 paragraph one, shall be liable to a fine not exceeding ten thousand Baht. Section 30. Any person having the duty to keep accounts, who does not comply with Section 11 paragraph one, shall be liable to a fine not exceeding fifty thousand Baht. Section 31. Any person having the duty to keep accounts, who does not comply with Section 11 paragraph three, Section 13, Section 14, Section 15, or Section 17, shall be liable to a fine not exceeding five thousand Baht. Section 32. Any person having the duty to keep accounts, who does not comply with Section 11 paragraph four, shall be liable to a fine not exceeding twenty thousand Baht. Section 33. Any person having the duty to keep accounts, who informs a false statement under Section 15 to the Chief Accounts Inspector or the Accounts Inspector that the accounts or the documents relevant thereto are lost or damaged, shall be liable to imprisonment for a term not exceeding six months, or to a fine not exceeding ten thousand Baht, or to both. Section 34. Any person who does not comply with Section 20 shall be liable to a fine not exceeding ten thousand Baht. Section 35. Any person who does not comply with Section 21 shall be liable to a fine not exceeding five thousand Baht. Section 36. Any person, who obstructs the performing of duties of the Chief Accounts Inspector or the Accounts Inspector carrying out the duty under Section 22, shall be liable to imprisonment for a term not exceeding one year, or to a fine not exceeding twenty thousand Baht, or to both. Any person who does not render facilities to the Chief Accounts Inspector or the Accounts Inspector carrying out the duty under Section 22, or who disobeys the order of the Chief Accounts Inspector or of the Accounts Inspector issued under Section 24, shall be liable to imprisonment for a term not exceeding one month, or to a fine not exceeding two thousand baht, or to both. Section 37. Any person who contravenes Section 25, shall be liable to imprisonment for a term not more than six months, or to a fine not exceeding ten thousand Baht, or to both. Where the offender under paragraph one is the Chief Accounts Inspector, the Accounts Inspector, or the Official, he shall be liable to imprisonment for a term not exceeding one year, or to a fine not exceeding twenty thousand Baht, or to both. Section 38. Any person who damages, destroys, hides or renders lost or useless the accounts or the documents relevant thereto, shall be liable to imprisonment for a term not exceeding one year, or to a fine not exceeding twenty thousand Baht, or to both. Where the offender under paragraph one is the person having the duty to keep accounts, shall be liable to imprisonment for a term not exceeding two years, or to a fine not exceeding forty thousand Baht, or to both. Section 39. Any person who makes false entry, alterations or neglects to make entry in the accounts or financial statement, or alteration in the documents relevant thereto, shall be liable to imprisonment for a term not exceeding two years, or to a fine not exceeding forty thousand Baht, or to both. Where the offender under paragraph one is the person having the duty to keep accounts, shall be liable to imprisonment for a term not exceeding three years, or to a fine not exceeding sixty thousand Baht, or to both. Section 40. Where the offender liable to the penalty under this Act is a juristic person, a managing director, a managing partner, a representative of the juristic person, or any person responsible for the operations of such juristic person, shall be liable to a penalty to the same extent prescribed for such offences, except where it can be proved that he has not participated or has not given consent to the commission of the offence of such juristic person. Section 41. The offences under Section 27, Section 28, Section 29, Section 30, Section 31, Section 32, Section 35 and Section 36 paragraph two, the Director-General or the person entrusted by him, shall have the power to settle a fine. And when the offenders have paid the fine as settled, it shall be deemed that the case is over under the Criminal Procedure Code. Section 42. The Ministerial Regulations or notifications issued under the Announcement No. 285 of the National Executive Council dated 24th November B.E. 2515 (1972) which have been enforced before the enforcement date of this Act, shall remain enforce so far as they are not contrary to or inconsistent with this Act. In this respect, until there will be the Ministerial Regulations or Notifications issued under this Act, which are enforced. Any person having been a bookkeeper of the person having the duty to keep accounts before the enforcement date of this Act for not less than five years but has no the qualifications of being the bookkeeper as prescribed by the Director-General under Section 7 (6), if willing to be the bookkeeper under this Act, such person shall inform to the Director-General in accordance to the rules, procedures and conditions notified and prescribed by the Director-General within sixty days as from the enforcement date of this Act. And when such person attends and accomplishes the training in accordance with the rules, procedures and time periods notified and prescribed by the Director-General, such person shall be the bookkeeper for another eight years from the enforcement date of this Act. Section 43. While there are no accounting standards being prescribed by law, it shall be deemed that the accounting standards prescribed by the Institute of Certified Accountants and Auditors of Thailand with the resolution of the Board of Supervision of Auditing Practices to enforce shall be the accounting standards under this Act. Section 44. The joint venture under the Revenue Code having had its joint venture operation before the enforcement date of this Act, does not comply with this Act until a new accounting period commences after the enforcement date of this act. Section 45. The person having the duty to keep accounts shall provide a bookkeeper in accordance with Section 19 within one year from the enforcement date of this Act. The time period under paragraph one, by the Director-General with the approval of the Minister, shall be extended according to the necessity in each circumstance, but not exceeding one year. During the period under paragraph one and paragraph two, the provision under Section 29 shall not be enforced to the person having the duty to keep accounts who has not yet provided a bookkeeper under Section 19 paragraph one.